Apartment Mar is situated in the most beautiful suburb of Pula-Pješčana uvala. It is a calm and charming area, far enough from the city noise and big crowds, but close enough for everything you need for a perfect vacation. Our neighbourhood is calm and friendly and in walking distance to the sea (150m), restaurants and beach bars (150) and a small grocery store(200m). The bus stop is 100m from the appartment. The appartment is situated on the first floor of our family house. It has a seperated entrance, parking and garden, so you will have your complete privacy. The appartment offers everything for a cozy stay of 4 people. Two big bedrooms, one with two single beds, and the other one with a large double bed. There's also a kitchen with all necessary equipment, and a spacious toilet with shower. Living room contains a LCD TV with satellite programs, and a dining area. In the front terrace you will also find a dining area and a barbeque grill for a perfect lunch in the sun. The use of air conditioning and WIFI is avaliable and included in the price. 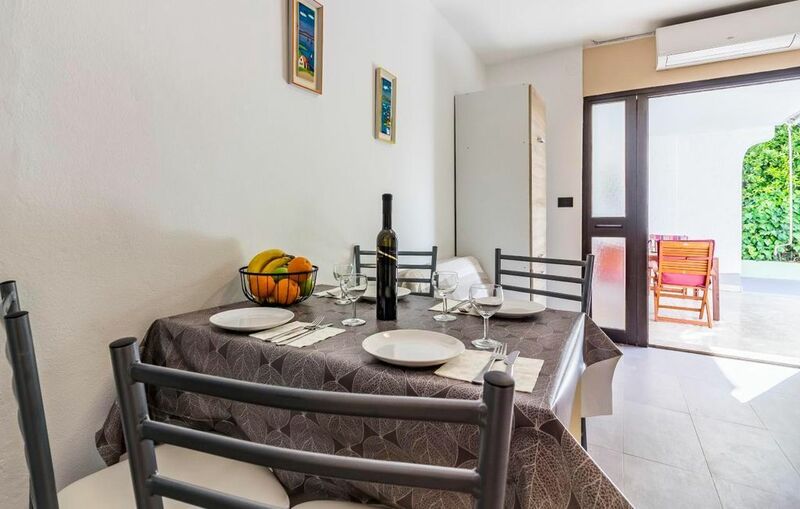 Position of our appartment is a perfect place to stay for families seeking a quiet and relaxing holidays, and also for younger people seeking an active holiday and nice beaches. Our guests are always welcome to aks us whatever they need.